World Book Day is just one week away! If you (or your little one) are still looking for inspiration on what to dress up as, we’ve compiled a list of our top cat-themed costumes. Whether you’re a hardened Harry Potter fan or have a penchant for fairy-tale felines, there is a World Book Day costume to suit you. Arguably Dr Seuss’ most famous character, The Cat in the Hat is a purrfect option for book fans. Find a red-and-white striped hat and red bow tie and get handy with the face paint. Talking in rhyme all day: optional. Add an extra dose of magic to World Book Day and dress up as sassy witch Hermione Granger. While Crookshanks is technically half cat and half-kneazle, he’s still one of our favourite fictional cats. Rope in a friend for an enviable fancy dress duo. Known for its distinctive mischievous grin, Alice in Wonderland’s Cheshire Cat is a book-lovers favourite. 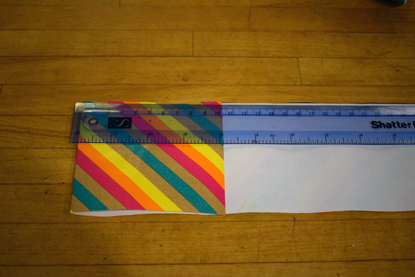 Time to don all the stripes you own and a smile set to make your jaw ache all day. We’re all mad here. A fairy-tale favourite as well as the star of the popular Shrek films, Puss in Boots is an ideal choice for those seeking a cat costume with attitude. Plus, it is the perfect excuse to wear a hat with a feather in it. With his lazy attitude, obsessive eating, coffee drinking and aversion to Monday mornings, Garfield is a cat we can all relate to. Fans of the popular comic strip should dress up as Garfield for World Book Day – you could even take on his mannerisms for the day. With an adventurous nature and a heroic streak, black-and-white cat Jess has helped Postman Pat with his post round since she was a kitten. Get a friend or family member to dress up as Pat and you can be his ultimate delivery buddy. Another great fictional witch is Mildred Hubble, accompanied by her faithful cat, Tabby. Tabby is the only non-black cat at Cackle’s Academy and is hopeless at flying, struggling to stay on Mildred’s broomstick. She also makes for a great costume for World Book Day! Looking for other creative cat costume ideas? How about some of the following fictional felines? Cupboards are banging and cake tins are clanging as cat-lovers across the country are preparing for this year’s Pawsome Afternoon Tea. 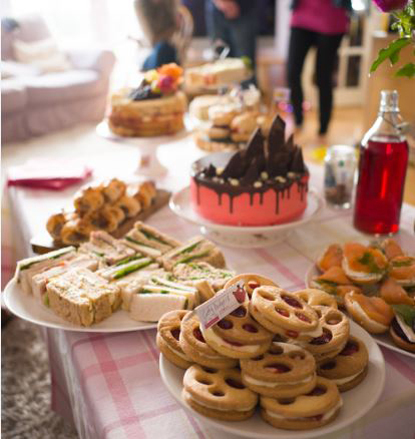 Get together with your friends, family, colleagues or school mates for a cup of tea and some tasty treats, all to raise money for cats and kittens. 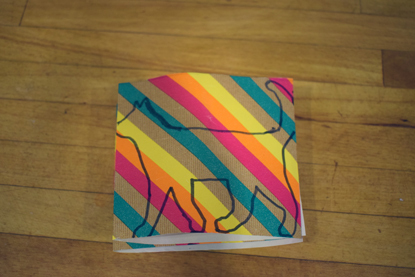 You can register for your own party pack at www.pawsometea.org and if you want to give your party that extra ‘je ne sais chat’ you can let everyone know what it’s all about with some of paper cat garlands. Use some wrapping paper to get some really long chains or newspaper for a vintage look. 5. 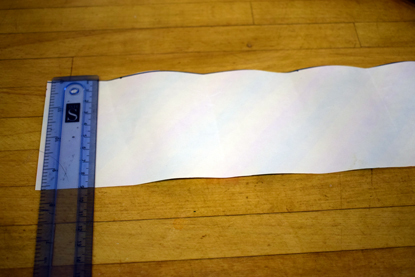 Cut out the shape through all the folded layers. 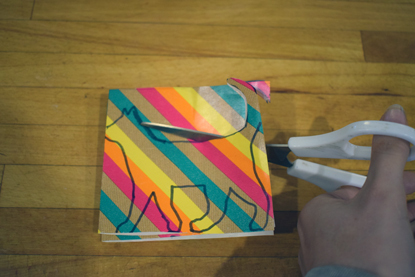 Make sure not to cut through the folded edges! 6. Unfold and put on display! If you’re getting crafty for your own Pawsome Afternoon Tea then let us know in the comments below or on Facebook or Twitter. For ideas of kitty-themed bakes you can make for your Pawsome Tea, check out our YouTube channel. Today marks the 25th anniversary of World Spay Day – but what is it and what does it mean to cat-owners? 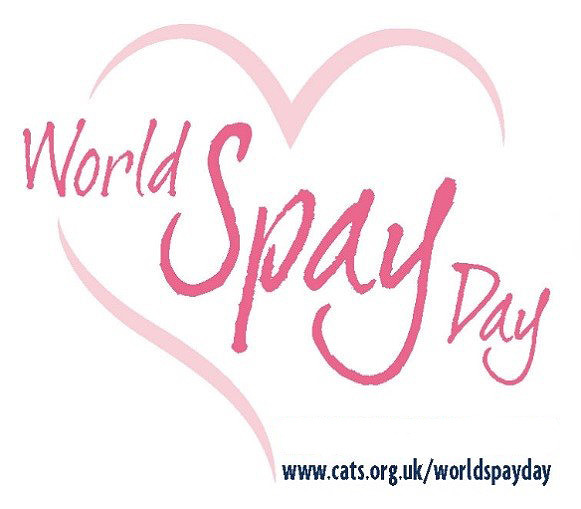 World Spay Day happens annually, aiming to raise awareness of the importance of neutering or spaying pets. At Cats Protection, we’re collaborating with a group of cat and vet organisations to raise awareness of the need to neuter your cat. 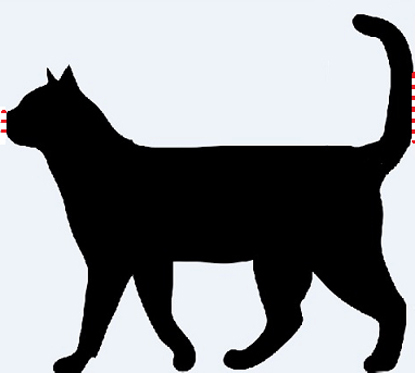 If you’re a cat owner, you might already be aware of the importance of neutering. 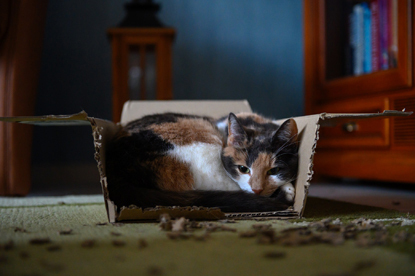 Cats are able to have kittens from very young, so we recommend neutering your cat from four months to ensure you aren’t left with an unwanted litter. If they haven’t, you could put yourself at risk of unwanted kittens – they can be costly and difficult to look after. 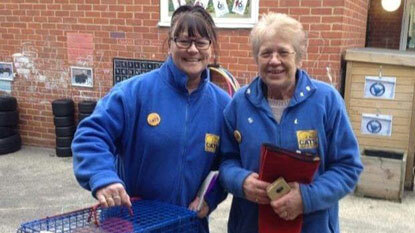 What are Cats Protection doing to help cat overpopulation? As part of World Spay Day, the Cats Population Group is urging for owners to neuter their cat. This will help to reduce the amount of cats that are now being looked after in the care of Cats Protection and other charities. 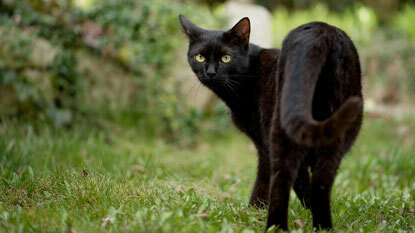 Currently, there are thousands of cats in Cats Protection’s care – something that could well be avoided by neutering. In 2017, Cats Protection neutered 153,000 cats. This huge amount has contributed to helping the overpopulation issue for cats in the UK. We’ve also piloted our stray cat project, Cat Watch, in six regions in the UK, with the aim of estimating the number of strays in the UK and working with urban communities to improve cat welfare. The first trial launched in Bulwell in Nottingham in 2016 and thanks to this work, in 2018 there were no homeless kittens born on the streets of Bulwell. As the UK’s leading feline welfare charity, we’re always giving cat owners advice on how to best look after their marvellous moggies. However, as many cat lovers will know, it’s often the kitties themselves that are in charge, with their ‘owners’ becoming their faithful servants. 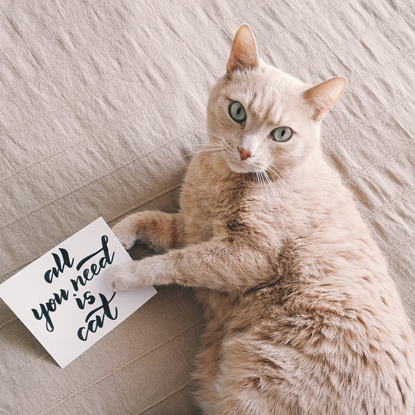 For Love Your Pet Day, we’re turning things on their head, giving cats some helpful advice on how to care for their beloved pets – us! 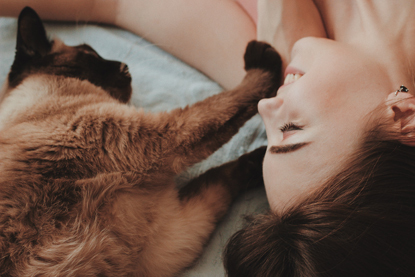 Your human is going to have a busy day of preparing your meals and clearing up after you, so they’ll appreciate you giving them a head-start with an early wake up call. Plus, dawn and dusk are when you’re naturally most active, so it would be incredibly rude of them to sleep through this time. The best way to wake them is either by demonstrating your best singing voice, or perhaps tapping their face with your paw – the purrfect sign of affection. 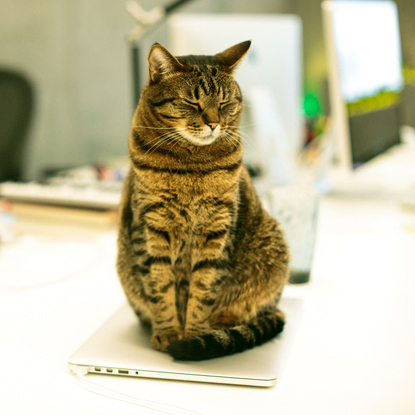 If your human has got some important work to do, why not make yourself useful and sit on whatever it is they are working on. This is a key duty of any purrsonal assistant, and plus, a warm laptop makes a cosy bed, so you both win! When your human sits down to eat their dinner, they love nothing more than when you stare at them intently while they eat each mouthful. Showing them this kind of attention really lets them know you care. The best gift you can give your human is a good look at your lovely fluffy tummy. However, if they dare to come forward to give it a stroke, make sure you let them know that’s not ok. After all, you’ve got to treat them mean to keep them keen. 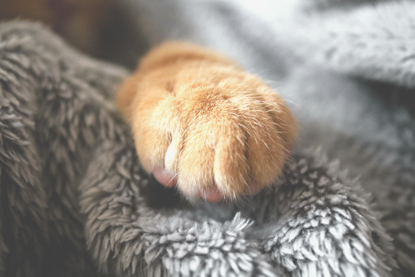 Once your human has sat down on the sofa for a relaxing evening, you can help make them even more comfortable by rhythmically digging your claws into their lap in a kneading action. This will help to relieve some tension in their muscles at a fraction of the cost they’d pay at a spa! If they start making ‘Ouch’ noises, that just means you’re doing an excellent job. How does your moggy show you some love? Let us know in the comments below or on Facebook or Twitter. Our next top models – can you home a cat for London Fashion Week? Today marks the beginning of London Fashion Week, a mainstay in the calendar of keen fashionistas. In an alternative to the fashion catwalk, we have put together a list of our next top models – the purrfect cats in our care waiting for their fur-ever homes. Whether you’re looking to buy into Spring/Summer’s stripes trend or you’ve got a penchant for designer labels, you’ll find a cat to suit you. Embracing this season’s trend for stripes and showing off his bright blue eyes, Charlie would make a welcome addition to your home. Ideal for a family with older cat-savvy children or a couple, he’s a very sociable cat, proving that style can also have substance. 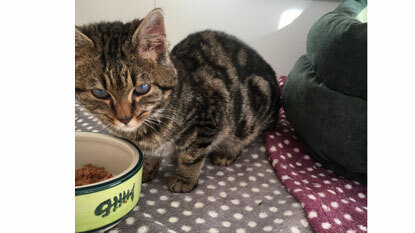 A handsome six-month-old kitten, he was born with impaired sight but doesn’t let it affect his personality. They say that black never goes out of style and Cleo is the epitome of style. 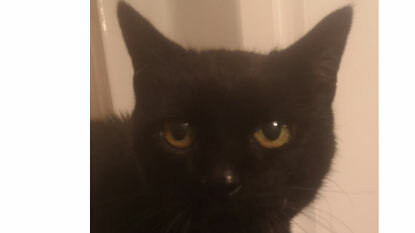 At 14 years old, she is a vintage beauty with an affectionate nature. She makes the perfect companion but will need some extra love and attention. As she has diabetes, she needs daily injections – although she handles them in a fuss-free fashion. A sophisticated pair with monikers to match, these moggies are seeking a home to call their own. 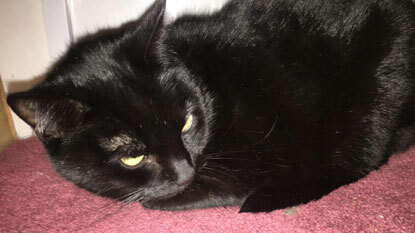 Approximately six years old, Chello and Gucci came into care when their owner sadly passed away. 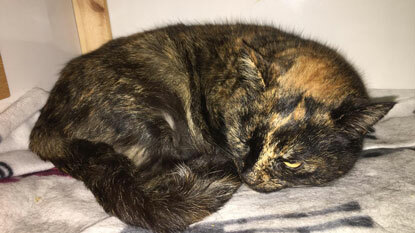 Gucci is a black female, while Chello is a dark tortoiseshell. Both girls can be shy and nervous around people but once they get to know you, they love a fuss. Chello has a previous pelvis injury that will need looking after. Due to Chello’s condition and because the girls have never been outside, Gucci and Chello are looking for an indoor only home with no stairs. Wicksie is quite the cutie – definitely a trend-setter rather than a follower. Originally a stray, he developed a terrible mouth infection that unfortunately caused his eye to become infected too. Despite being treated, the muscles in his face will never regain their full strength, making his right eye slightly sunken. He is also recovering from a wrist injury and will require daily pain medication. Even with all of this, Wicksie is an affectionate boy with an amazing purr. This fashionable duo are looking to be homed together as indoor cats. 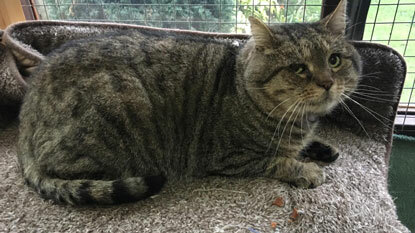 A pair of eight-year-old sisters, Tabby and Mim sadly came into the centre’s care after their owner went into care. With plenty of personality, these two aren’t divas – although they do both like a fuss. Tabby is more outgoing, while Mim is the shyer sister. Neither are particularly happy with other animals and would prefer to live with a family with older children. 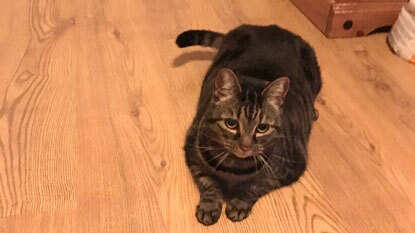 If you’ve got a Tabby and Mim shaped space in your home, contact Bedford & Biggleswade on 0345 260 2505. These two vintage beauties are looking for a quiet home that they can relax in. 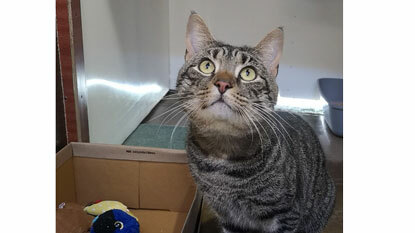 Michael is a shy boy with a love for the great outdoors and spending time inside on a comfy sofa. After spending 51 days in care, he’s desperate to find a forever home. 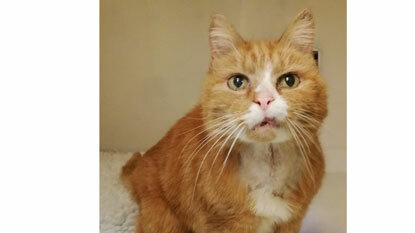 Arthur has recently undergone thyroid surgery and after being in care for 41 days, this dapper gent is looking for an estate to call his own. 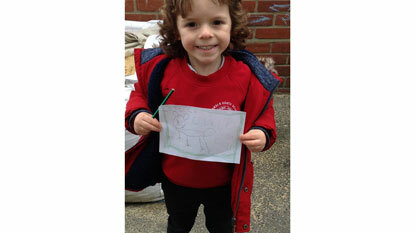 He’d rather have a home with plenty of peace and quiet, although he still enjoys an independent lifestyle. An eccentric gent looking to fill your home with his own unique sense of style. While we don’t condone cats as fashion accessories, it’s safe to say that cats never go out of style, whatever trend you’re looking to buy into. If you’d like to find your own next top model, go to www.cats.org.uk/find-a-cat where you can search for a cat in your area. Sadly, humans are not the only ones at risk from getting cancer as cats and dogs can suffer from this terrible disease too. 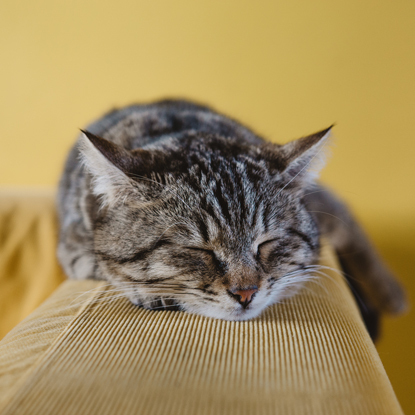 Although cancer is not very common in cats, it can be particularly aggressive and so prevention and early treatment are important for improving their chance of recovery. 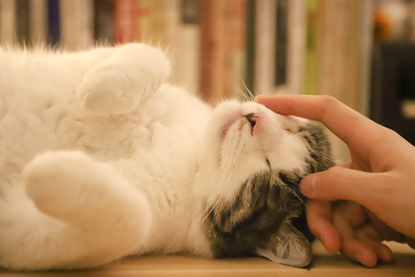 If you notice any change in your cat’s health or behaviour, or if you find any lumps in their skin while stroking or grooming them, take them to the vet as soon as possible. There are a multitude of different cancers that cats can get and as yet we do not fully understand all the reasons these cancers develop. However, it is likely that in most instances a variety of factors are at play. In other species we know that genetics play an important role in the likelihood of cancers developing, and there is no reason that this wouldn’t be the case in cats also. 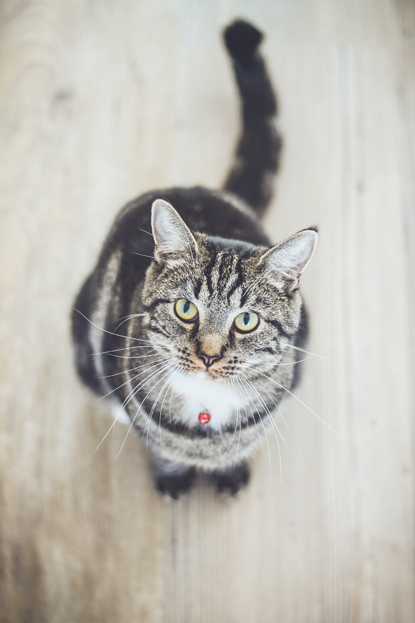 Potentially this could mean that our moggies, which have a more varied genetic background compared to a purebred cat, could have less chance of developing certain cancers (this is certainly the case in dogs), but as yet the research into this is limited. There are many different chemicals that can increase the risk of cancer in all animals and these are called carcinogens. Carcinogens act by stimulating cells to become abnormal in some way, for example they may trigger cells to replicate out of control. Research is still ongoing into looking at different chemicals and the role they play as carcinogens. 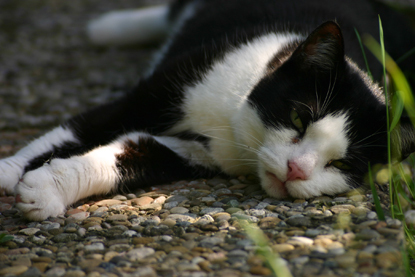 Your cat may enjoy lounging in the sunshine during hot weather, but just as UV rays can be dangerous for humans, they can also put your moggy at risk of developing skin cancer. 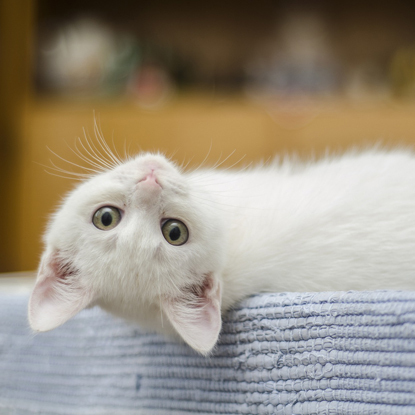 Cats with white or pale ears and noses are particularly susceptible as their skin doesn’t have a pigment called melanin, which provides protection against UV. To keep your cat safe, keep them indoors during the hottest part of the day and speak to your vet about a suitable sunscreen. 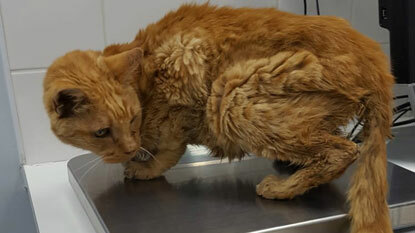 The viral infection Feline Leukaemia Virus (FeLV) can attack cells within your cat’s bone marrow, leading to the development of leukaemia (a cancer of the circulating white blood cells) and a cancer called lymphoma (a solid mass of cancerous white blood cells). The good news is that the chance of your cat picking up this virus can be dramatically reduced by getting them vaccinated against Feline Leukaemia Virus. Speak to your vet about making sure your cat is protected. 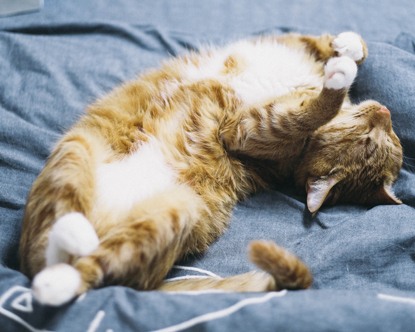 As well as preventing your cat from producing any unwanted kittens, neutering also has lots of health benefits, including reducing the risk of them developing certain types of cancer. 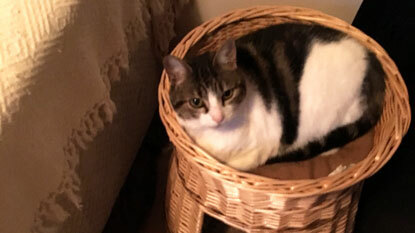 For female cats neutering will significantly decrease their chances of developing breast tumours, and for male cats it reduces the likelihood of them picking up viruses such as Feline Immunodeficiency Virus (FIV) which can increase the risk of cancer by weakening their body’s immune response to cancer cells. Make sure you cat has plenty toys to play with, either shop bought or homemade! Ensuring your cat receives all the nutrients they need and does not become overweight will help to set them up for a long, healthy life. Make sure you give your cat a high quality complete cat food that’s suitable for their age and avoid overfeeding them with treats and leftovers from your plate. It is also important to establish a routine so that they get plenty of exercise. 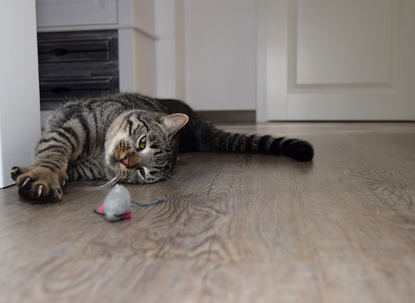 If your cat isn’t naturally active it can help to set aside time to have regular play sessions with them each day. 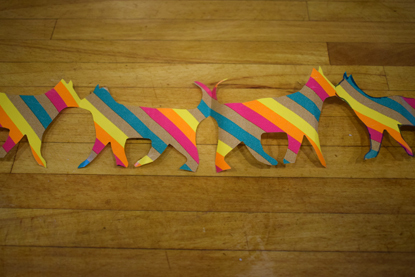 You could also try using puzzle feeders to keep them moving. 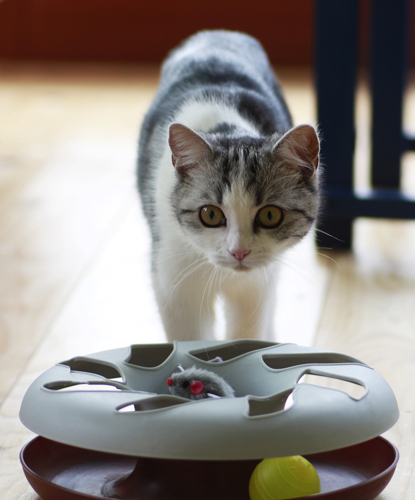 This will help your cat burn off some calories and therefore reduce their risk of obesity and cancer. Many owners want to do everything they can to reduce the chance of their cat developing cancer. While we can never predict or prevent this entirely, following the steps above will certainly help to safeguard your cats’ health in the long term. For more advice on keeping your cat happy and healthy, visit the Cats Protection website.